My Firm has been successfully representing clients charged with DWI in East Orange and throughout Essex County for years. 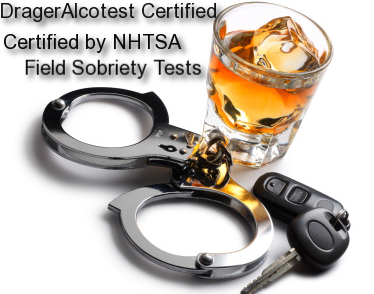 I am one of a few attorneys in the State certified in both the administration of the Alcotest and the Standardized Field Sobriety Tests. I win DWI trials and have achieved improbable victories for my clients. The loss of your driving privileges could very well be the most economically disastrous thing that could happen to you. It is too important and the consequence, both financial and emotional, too great to simply give in. In our opinion, you must defend yourself and have the opportunity to avoid the consequences. For a first offense DWI in New Jersey you can lose your license for up to a year, pay fines, fees, and surcharges of close to $4000, and have an ignition interlock device installed on your car. In some instances you can go to jail. You will have to attend classes and be subject to drug and alcohol counseling. You may have your registration privileges revoked. You will be subject to the penalties for driving while suspended as a DWI suspension if caught driving during that period. Obviously the penalties get worse with second and third offenses. It is imperative that you take to time to get a free consultation with an experienced and successful DWI lawyer in New Jersey who appears regularly in the East Orange Municipal Court. Our fee structure is reasonable. But remember the old saying, you get what you pay for and all DWI lawyers are not created equal. If you have been charged with DWI in East Orange, arrested by either local or State police, and have questions regarding your case. We are available to speak at any time. We will provide you with a thorrough and free consultation and answer all of your questions. We will assess the facts of your case and discuss your possible defenses. Most importantly, we will give you an honest assessment of where your case my go. Remember, your friends and family are not DWI lawyers. Although the may think they are helping by giving you advice on how to proceed, most of them have never represented anyone in court or know the laws, evidence rules, or anything else as it relates to DWI defense in New Jersey. Don’t make the mistake of not reaching out to a professional.